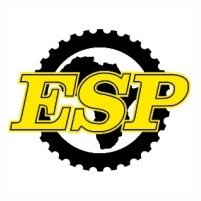 ESP is the largest multi-brand supplier of replacement spare parts for earthmoving and mining equipment in South Africa. Brands such as: Berco, ITM, KBJ, CF, PE, MTG, Futura, ESCO, ETE, SHARK, Metisa, TGW, Bulldog, Miba, KMP, Interstate McBee, World Gasket, CGR, OFM, Modena Parts, Luberfiner, Fram and many other popular brands. ESP offers a complete range of Ground Engaging Tools for most makes of Earth moving & Mining Equipment. • General Purpose Bucket Lip Systems. A broad range of KMP brand engine parts and other popular brands that are suitable for Caterpillar, Cummins, Komatsu and Detroit engines are available. Tags: Replacement Parts for Caterpillar, Ground Engaging Tools, Undercarriage, Diesel Engine, Caterpillar machinery covers, engine, transmission, torque converter, final drive, steering clutch, differential, track frame, dozer frame, equaliser, hydraulic cylinders, brake system, exhaust system, suspension, electrical, filtration, hydraulic, pumps (oil, water, engine, transmission, hydraulic), centre hitch, bucket linkages and bucket support attachments, bucket teeth, bucket adapters, corner adapters, straddle adapters, weld on adapters, bolt on adapters, bucket blades, half arrow blades, bucket shrouds, cutting edges, end bits, router bits, grader blades, overlay end bits, underlay end bits, heel shrouds, bucket protectors, chocky bars, wear buttons, wear bars, wear blocks, wear runners and general purpose bucket lip systems, Rebuild idlers, re-shell rollers, re-strip grouser shoes, re-rim sprockets, turn pin and bush, piston and liner kits, pistons, liners, ring groups, cylinder heads, oil pumps, water pumps, fan pulleys, crankshafts, camshafts, balancer shafts, connecting rods, engine bearings (mains, big ends, small ends, bushes), engine vibration dampers, crankshaft seals and sleeves, engine valves, valve guides, injector pump parts, fuel injector nozzles, pre combustion chambers, air filters, oil filters, fuel filters, water filters, hydraulic filters, engine gasket kits.